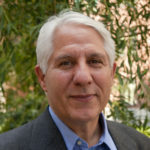 David Weisburd, Professor of Criminology, Law and Society at George Mason University, is an expert in police innovation, geography of crime, experimental criminology, violent crime, illicit markets, social deviance and white collar crime. Weisburd is the Director of the Center for Evidence-Based Crime Policy, and serves as Senior Science Advisor for the Police Foundation in Washington DC. He is also an elected Fellow of the American Society of Criminology and the Academy of Experimental Criminology. Weisburd was the founding editor of the Journal of Experimental Criminology and is the editor of the Journal of Quantitative Criminology. He received the Stockholm Prize in Criminology (2010), the Robert Boruch Award for Distinctive Contributions to Research that Informs Public Policy (2014) and the Sutherland Prize from the American Society of Criminology (2014). In 2015 he received the Israel Prize, generally regarded as the State of Israel’s highest honor, for his contributions to criminology. He authored more than 20 books, including Place Matters: Criminology for the 21st Century, What Works in Crime Prevention and Rehabilitation? : Lessons from Systematic Reviews and The Criminology of Place: Street Segments And Our Understanding of the Crime Problem. Weisburd received his Ph.D. and M.A. in Sociology from Yale University and B.A. in Sociology from Brandeis University.